Having kids in elementary school means everyone does homework. Kids do homework, moms and dads do homework, maybe you even have a tutor helping with homework. Homework is new and challenging and sometimes frustrating for everyone. I’ve never been a fan of the idea of homework but our school is pretty balanced about it. In first grade it’s one worksheet per night and some reading. I can’t complain. That said, it’s in first grade that homework was the most challenging with both of my kids. They’ve never had to do anything like this (consistently) before so on top of learning new material, they also had to learn what homework even is. So when I tell you this homework hack is changing my life I am not exaggerating . Last week, one page of homework with five questions took nearly an hour and a half to complete. Today with my new hack, we did the same exact type of homework in 20 minutes. We’ve been working on time management strategies with our youngest lately and I created a little morning routine checklist (free printable at the end of this post!) to help him get ready for school independently. When that started taking longer and longer, I decided we needed to add a timer. But not just any timer. Now, my son is six and he can tell time, but he doesn’t really understand the concept of time. To him, anything longer ago than yesterday was last year. If I say 30 minutes it means nothing to him. So when I learned about visual timers I stopped in my tracks. This is not a sponsored post, however I use affiliate links which means I may receive payment on purchases made through my link. What my kiddo needed was a way to see the time disappearing. A regular countdown didn’t seem to do the trick so after asking around, I learned about visual timer apps and a quick search in the app store later, I had the Children’s Countdown Timer (also available on Android) in my hot little hands. This is a free app and to me, it’s gold. It’s as easy as setting your phone timer only there are hidden pictures that are only revealed as time passes. You have the option to add 10 seconds at a time or make it go faster 10 seconds at a time. And instead of an alarm at the end, there’s a fun little confetti celebration and the app makes the sound of the object it reveals (duck, drum, honking horn etc). This has been hugely helpful already. I have two boys and they are opposites when it comes to homework. One is a complete procrastinator and the other finishes as quickly as possible. For my youngest, who loves to see which picture will appear, we set the timer for 3 minutes per question. I also let him operate the controls as long as he isn’t too distracted! This countdown timer homework hack has saved our afternoons. My son loves seeing what the picture will be and gets his work done SO much faster. And I want to be clear that this is is work I know he can do. I don’t want to rush kids who need extra time to learn. But when you know the answer and you take 20 minutes to write the word “and” it’s time to speed things up. The app is free but you will see some ads and there are picture packs you can add for 99cents each. Or you can disable ads completely and get all the picture packs for $1.99 total. A small price to pay if you ask me. The free Children’s Countdown app is perfect for my needs, but if you need a timer that isn’t attached to a screen, I found a couple other options. These would be great for classrooms or multi-child situations. I haven’t actually used these myself, but I wanted to give you a few options. 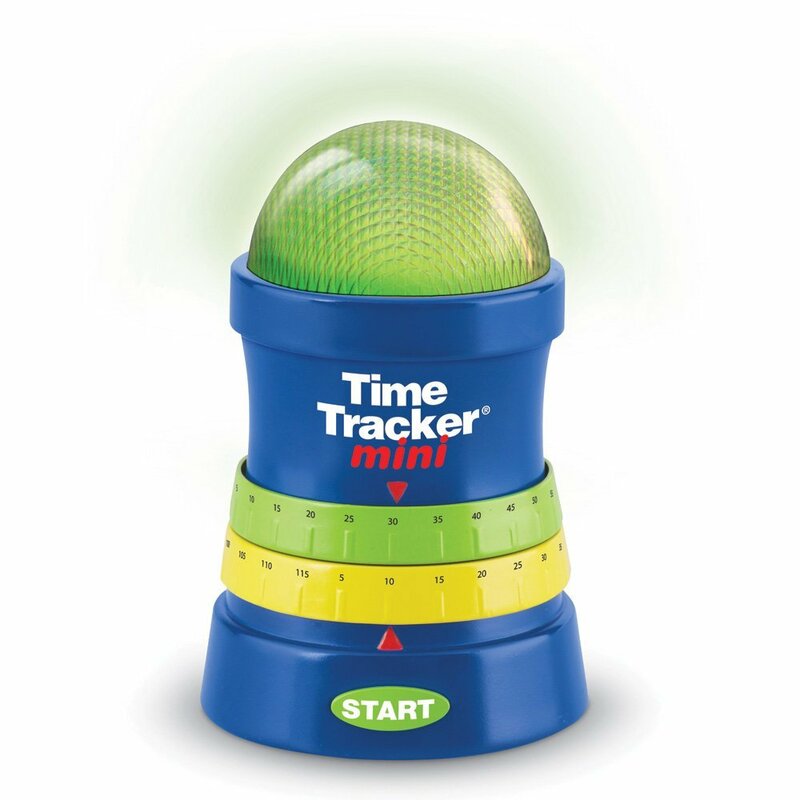 The Time Tracker Mini is a small timer that starts out green and ends up red. It’s small and has two dials, one for the timer and another one to give a warning alarm. 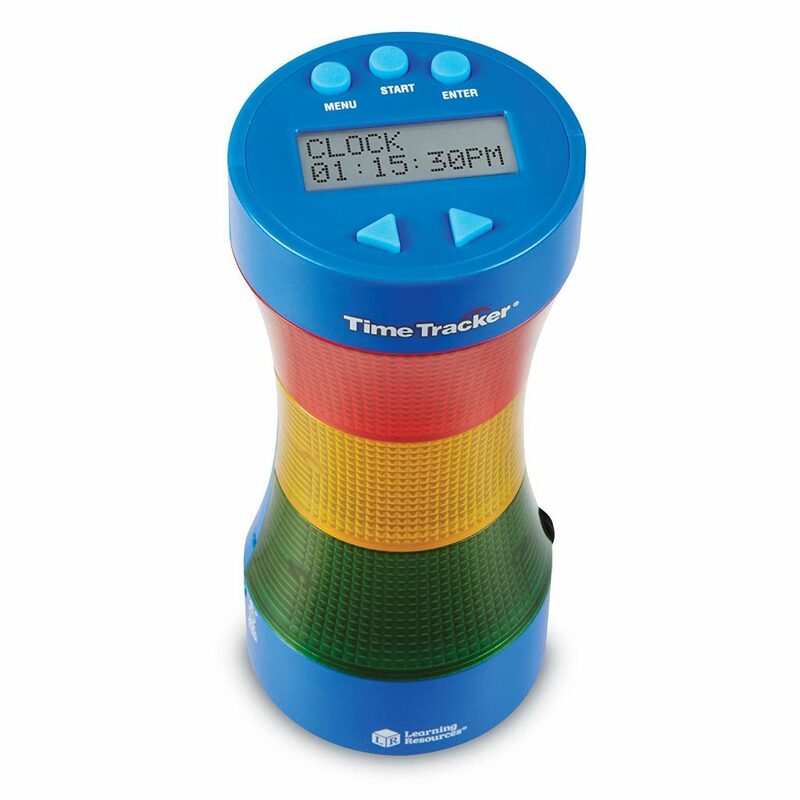 The Time Tracker Visual Timer from the same company is a little more pricey but has the same green-yellow-red warning lights. This also has a clock so it would be great for older kids who are learning to process the actual time along with the passing of time. FREE Morning Routine Checklist Printable! 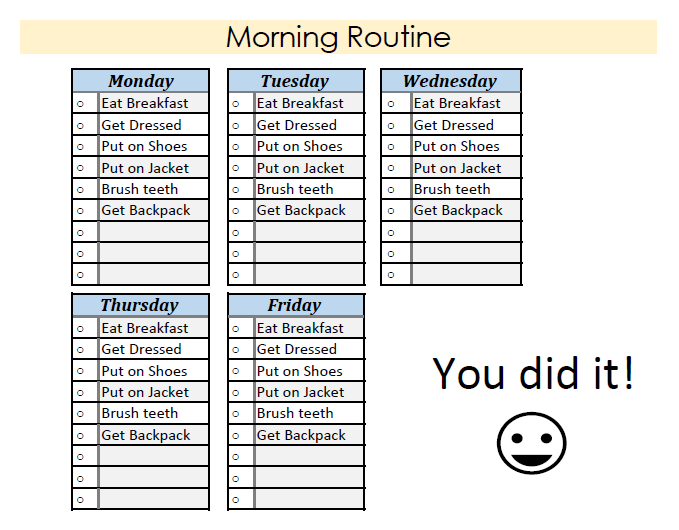 Below is a copy of our morning routine checklist. Feel free to print it out for your own use. I left a few blank spaces if you want to add your own items. It’s not fancy, but it gets the job done! I don’t know about you, but when I stumble on something like this that actually WORKS and helps my kids I will shout it from the rooftops. 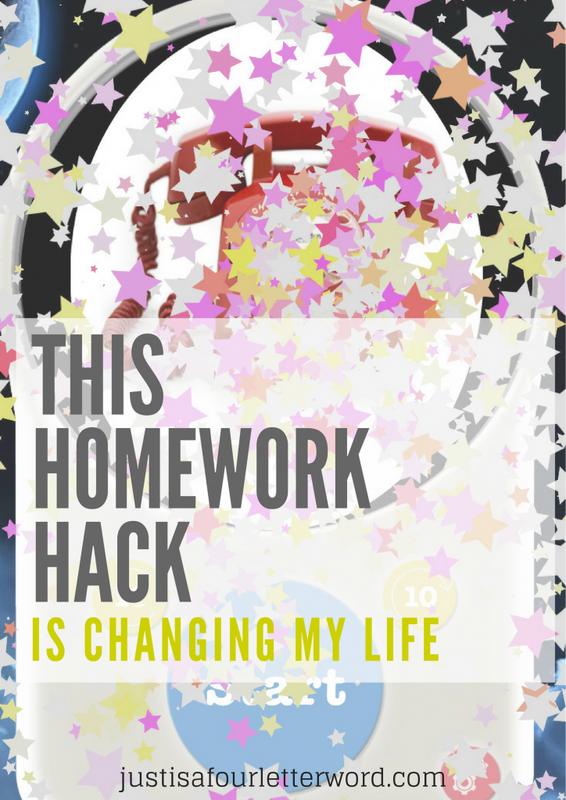 Do you have any home work hacks that make your life easier? Let me know in the comments! If anyone needs some best birthday and Christmas gifts for kids so you can find here. Thank you for this. We struggle with homework too at this house. It’s especially annoying when we realize that it’s something that our son knows how to do. Visual timers are great, he uses them in school but I didn’t even think about using one at home. Mom brain. In the meantime I think we will use the timer on my phone. Yes! Try the app and see if he responds. I was shocked at how well it worked for us! My kids aren’t old enough for homework yet, but I have been using a timer for other things, like clean up. It is really great because kids are so visual! I totally agree! Now that I’ve been using the visual timer I keep thinking of other ways it would be helpful. What an interesting app idea. I don’t have kids so I don’t have much issues with getting things done, but I have definitely watched friends struggle with their kids and homework. It can be crazy making! I’m ALL about tricks for getting things done more efficiently. Concept of time is totally awful for kids that can’t quite tell time yet. These are great ideas. Thank you for this advice !! I don’t have kids but I spend a lot of time with my nephews and I will have to give this a try !! Would love to hear how they respond! Homework battles are mostly done for now. I feel like my kids have just accepted it as a reality and pretty much handle it themselves. I still have one more to start school though so I will keep your timers in mind! You are living the dream! It gives me hope haha. LOVE this! I have a first grader and a third grader. And I notice that they are all about how much time they need to spend on something. They will normally set Alexa to do the countdown when they are tasked with doing anything for a period of time. I do like this app because unlike Alexa simply stating when the time is up, they can check the timer and see the actual countdown. I am downloading it as we speak. I can’t wait to hear how it works for you. It seems TOO easy but having that visual is literally saving us an hour each day. It’s crazy! What a good idea! I love that it’s such a simple way to encourage your kids to get things done in a timely manner! So perfect! Great point! Why should the kids have all the fun? That’s great that she is already doing some worksheets! I had a hard time ever getting my boys to do them for fun so we had a pretty big learning curve. I bet the timers are super helpful. As a kid I had attention issues and focusing on one task at a time and I bet that would have helped me stay on track! I figure why not give it a try? Everyone is different. Homework time can be such a challenge! I’m glad you found something that works for you and you family!!! It’s never too early to teach time management! I knew plenty of people in high school that spent way too long on simple assignments because they’d never learned it. That’s a great point! With so much of our lives spent online these days, being a self-starter is more important than ever. These handy homework hacks will help the kids breeze through the coursework drudgery by using technology at their fingertips. Ooh I need one of these for my oldest! Reading time is when he struggles and this would make it much better! This is a great way to stop procrastination and improve concentration. Kids are so easily distracted, which can make doing homework take forever. If you start this early, homework won’t take as much time when they get older. I was actually just watching a study on how visual “progress” bars make people feel. These hacks are really going to help a lot of people. 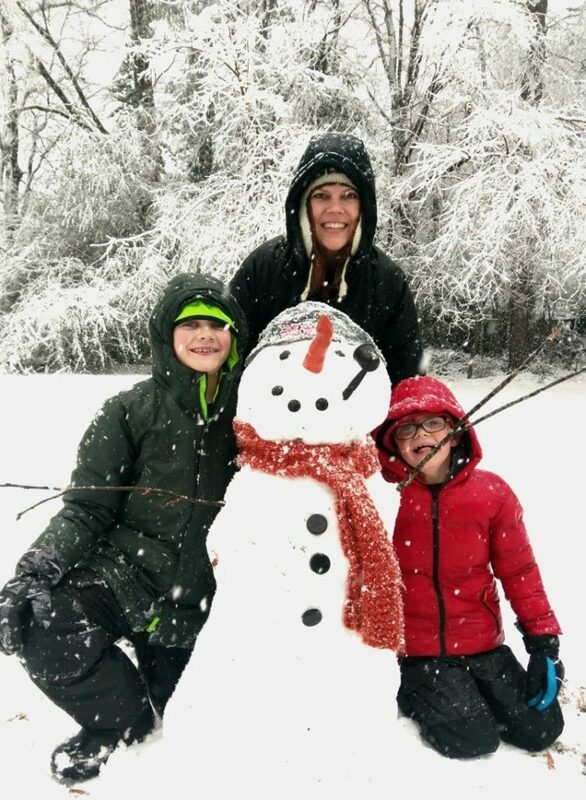 I love anything that makes being a parent easier! this looks so great! Excellent ideas! It also takes us forever to get anything done in our home if it’s left to our nine year old daughter’s timing. We used to use a timer to count down to bedtime and I’d love to try this for so many other tasks! I am going to check out that app! My son takes a while with homework too, and gets aggravated a lot of times because it takes up his afternoon.